A Bentley can be the ultimate in driving decadence, like a rich, calorie-dense desert in automotive form. In general, Bentley makes fairly large, comfortable cars that give the impression of imposing mass overcome by huge gobs of power. Bentley's first SUV, the Bentayga, takes this recipe to another level. 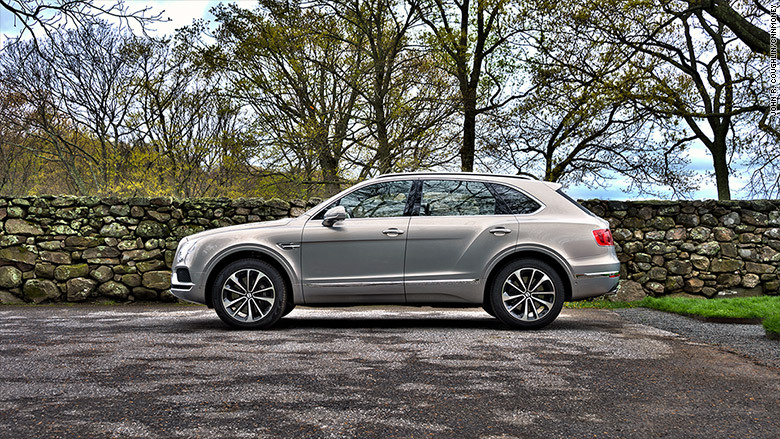 On the road, it feels exactly the way I would expect a Bentley SUV to feel: controlled, quiet and comfortable but ready, with just a slight nudge of my foot, to release a startling surge of speed. I recently had the opportunity to drive one heading north out of New York City into the Connecticut countryside.